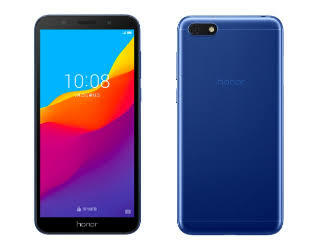 Huawei is one of China most popular smartphone brands with heaps of telephones added to its repertoire,The Honor Play 7 comes with nice specifications and very budget friendly . Huawei Honor Play 7 features a 5.45-inch HD+ display, powered by MediaTek MT6739 SoC with 2GB RAM, also comes with a 13-megapixel rear camera and a 5-megapixel frontal camera, both with LED flash . It cost with an Android 8.1 Oreo with EMUI 8.1 out of the box, double SIM and microSD in smae slot. ➽ 16GB of expandable storage. ➽ 5.45-inch (1440 x 720 pixels) 18:9 FullView 2.5D bended glass display.